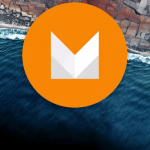 Google has finally unveiled Android M developer preview yesterday at Google I/O 2015 and some news features like dark system theme UI, pick and choose app permissions, Android Pay, fingerprint support, Now on Tap etc. have been spotted. 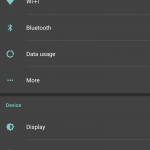 Recently we spotted that Android M also supports multi-window mode so that one can keep different activities on the same screen at the same time. 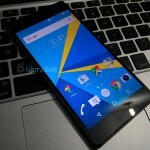 Now as Android M preview images are out, Android M apps have been ported for Lollipop running devices. 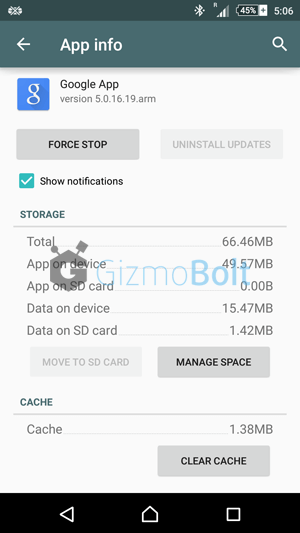 You need Android Lollipop running device to install Android M launcher, we tested it on Xperia Z2, Z3, working on non-rooted devices also. 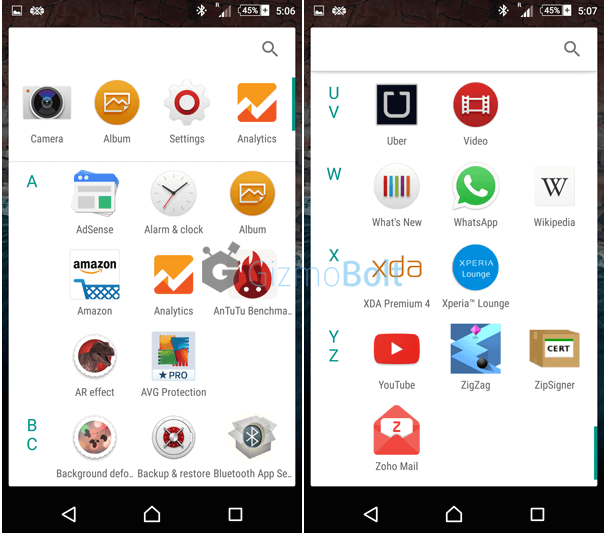 To install Android M Launcher on your device, you need two files posted below. 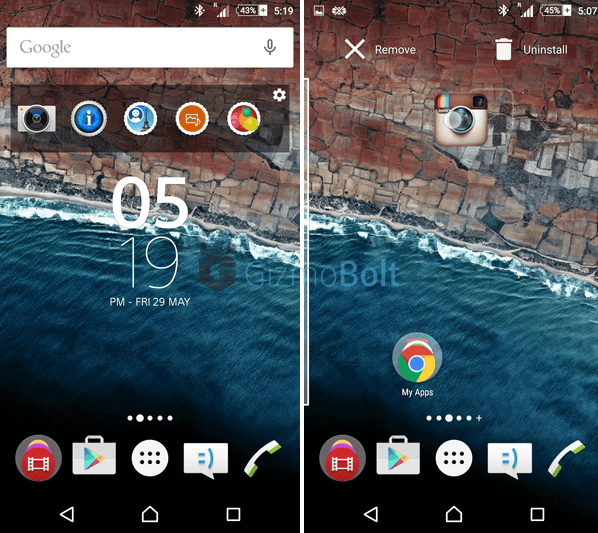 After installing below-posted two files, set Google Now Launcher as your default launcher. App drawer is now arranged alphabetically. New Android M launcher is smooth and responsive as compared to Android Lollipop launcher with better search option inside it. 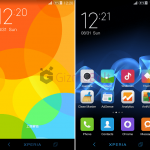 Check out the Android M launcher running video below. 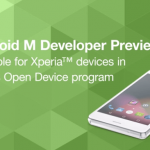 Look here for ongoing discussion on Android M update on Xperia devices. Download official Android M Wallpaper & Clock here. 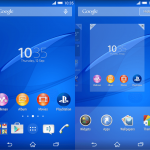 Let us know if the Android M launcher works on your device. 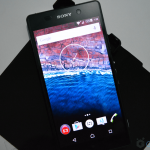 Which Xperia devices will get Android M Update? Blogging as a hobby. Sales & Marketing Professional. MBA (IB) from IIFT Delhi (2015-17). 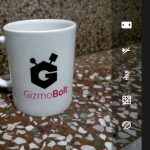 Founder & Editor-in-Chief of GizmoBolt.com ( formerly XperiaGuide.com ). Follow at Facebook I Twitter I Google Plus | LinkedIn | Instagram. Contact at [email protected]olt.com for feedback and sending tips. Donate Us.